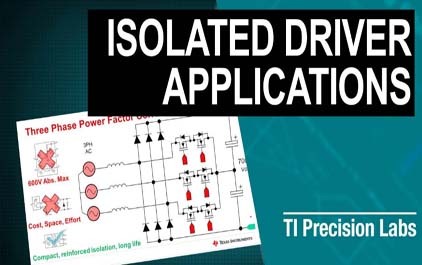 This section of the TI Precision Labs - Isolation series explores three-phase power factor correction, solar string inverter, motor drive, and traction inverter applications for isolated gate drivers. The common themes across all applications become clear: isolation is critical in applications where there is user-accessible circuitry, or for applications where the working voltages of the system far exceed the limitations of standard silicon processes. In order to take advantage of new and emerging technologies such as silicon carbide MOSFETs, isolated drivers are required to exhibit excellent timing characteristics and robustness.